The Moonlighters band provides the best in live music and entertainment and we take requests. The professional musicians in the band can be suited to any event from soloist to a 7 piece big band playing your favorite tunes. The Moonlighters represents a unique combination of professional musicians, instruments and musical styles catering to make your event special. The band performs actively in various jazz festivals, weddings; corporate functions and community events. Their repertoire covers jazz standards; pop; latin; swing; country; and even sing-along put style tunes. This versatile group knows how to entertain and enjoys performing to both listening and dancing audiences. 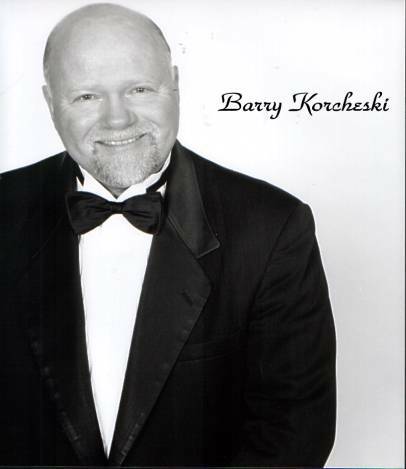 The band can start with Barry Korcheski playing piano at pre-event cocktail parties and then lead up to a duo, trio, quartet and even 7 piece big band by adding "The Bay Horns" horn section for big dance events. We enjoy taking song requests and we have a full PA sound system and lights to make your venue have perfect atmosphere for full audience enjoyment.